Old hybrid able to bloom two to four times a year. 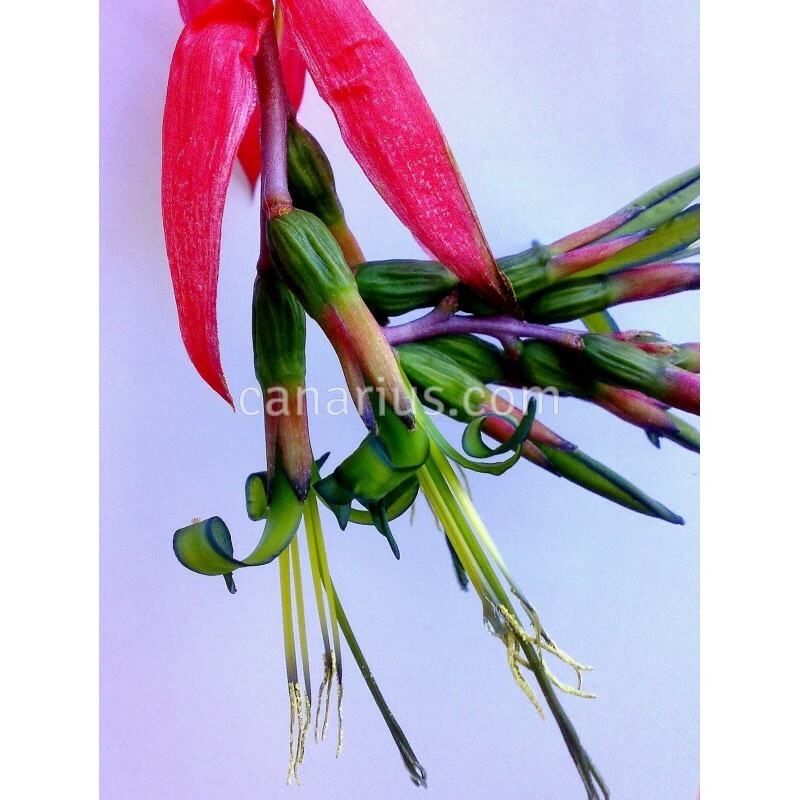 It forms a compact clump of green arching leaves with soft spines, bearing bright pink pendant inflorescences. It is perfect as an epiphyte or in baskets. It can grow in cool conditions and can take frost to about -5 C.
Old hybrid, dating 1882, made of Billbergia nutans and B. decora. It is able to bloom two to four times a year. It forms a compact clump of green arching leaves with soft spines. It bears bright pink inflorescences at any time of the year. Due to its clumping habit and pendant inflorescences, it is perfect as an epiphyte or in baskets. This species is very easy to grow. It can survive to frost to about -5 °C, if kept on the dry side. It is just a bit less hardy than Billbergia nutans. Billbergia x Windii has been awarded the Royal Horticultural Society's Award of Garden Merit.